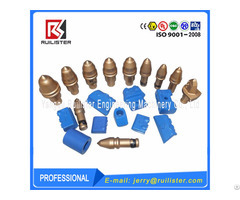 The round shank chisel bits and holders are using for foundation drilling and piling, we can supply the 19mm, 20mm, 22mm, 25mm, 38/30mm round shank cutting tools, the complete cutter tools apply for foundation creation, solid wall, water well drilling, trenching, mining and tunneling. 1. Alloy steel body are made by material ASTM4140, heat treatment with HRC38-42 hardness, has high toughness and wearable character. 2. 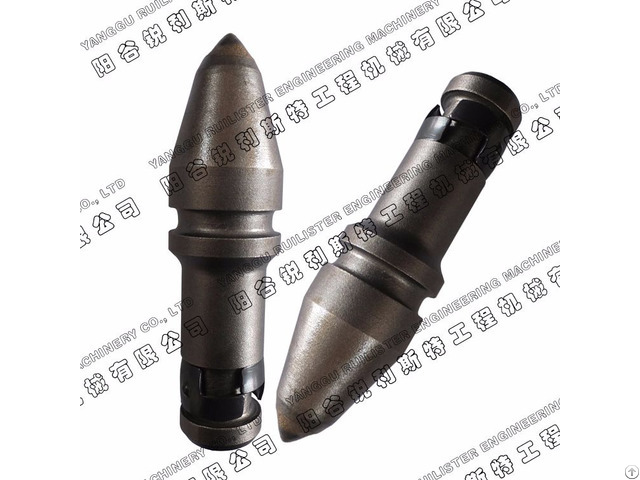 Tungsten carbide tip is made from low press singtered and suitable grade selected according to target projects, which are to make sure the good performance during working. 4. 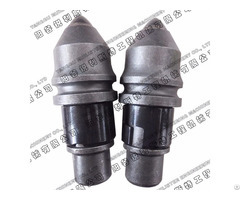 Round shank chisel bits are suitable for excavation of sand, cobbles, weathered rock and hard rock. Replacment of Betek specification: B47K17.5-H, B47K17.5-H/2, B47K19-H, B47K19-H/2, B47K22-H, B47K22-H/2, B43H, B85/2, BSK12, BSK15, BSK17, BTK01, BTK03, BTK07, BTK10, BTK14, BTK16, BTK62, BTK63, BTK70, DV08, BHR07, BHR12, BHR167, BGS75, BTR08, BTR02, BTR03, BTR01, BHR20, BSK15, BSK17, BSK21, BSK16, BSK12, BSH09, BSH05, BHR164, etc. 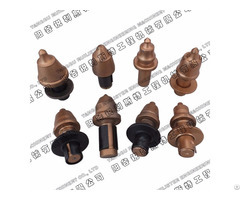 Replacment of Kennametal specification: C21, C21HD, C31, C31HD, C10, C10HD, C20, C30, U40, U40HD, U47HD, DS01, DS04, DS05, DS06, U43H, etc.